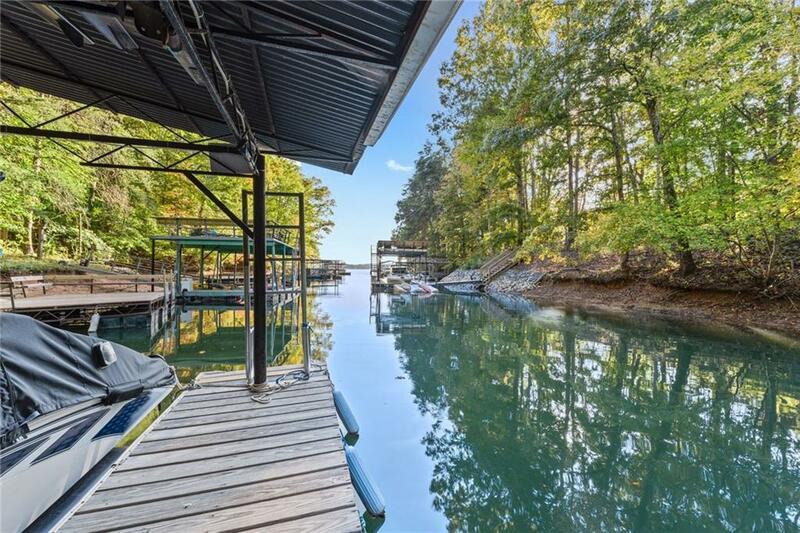 Renovated modern cottage w private dock. Accom 6. Conv SOUTH end of Lanier quick access to GA400. More than $36K in upgrades since 2015, COMES COMPLETELY FURNISHED! 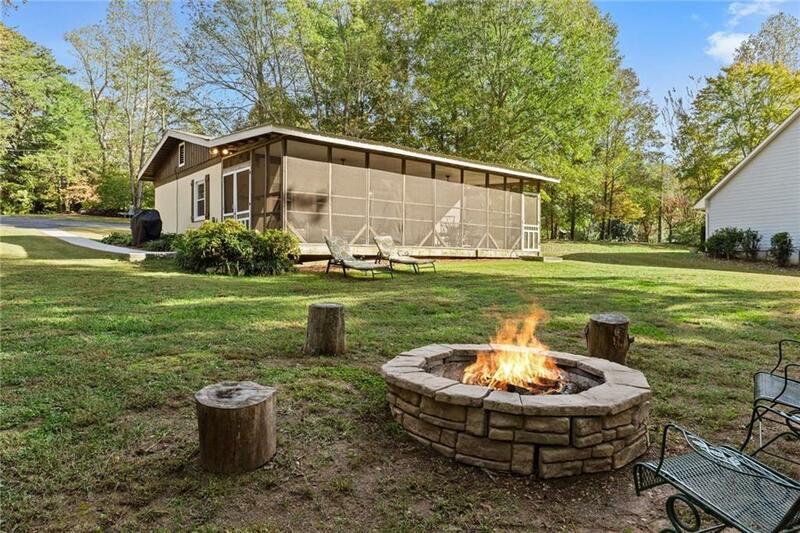 Getaway & popular VRBO. 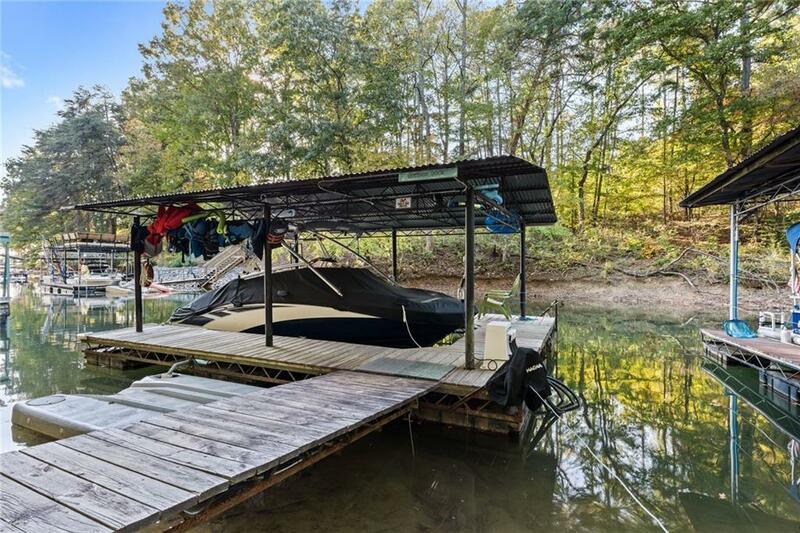 3 season screen porch w flat yard & limited Lake view. 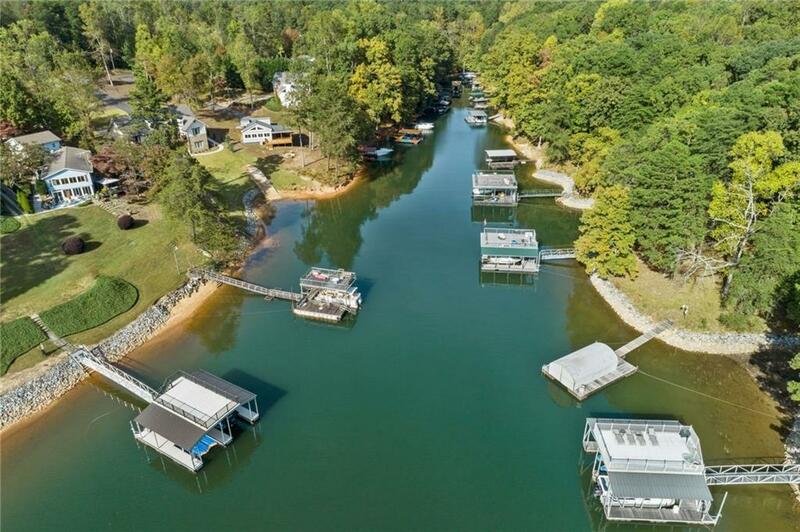 Flat walk to covered single slip boat dock w lift, jet ski dock, full power, water & LED lights.80 ft borders flat & open fed corps land w mowing rights.New windows, HVAC, NEST, Septic leach field, ss appl, soft close cab, granite, bath, wood look tile floors, fire pit, shed.Near Bald Ridge Marina.Street w Million dollar homes!